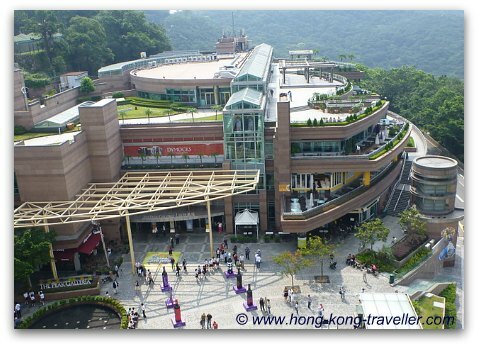 The Victoria Peak Galleria just accross from the Peak Tower, is a gigantic complex with lots of food, fun and shopping options. 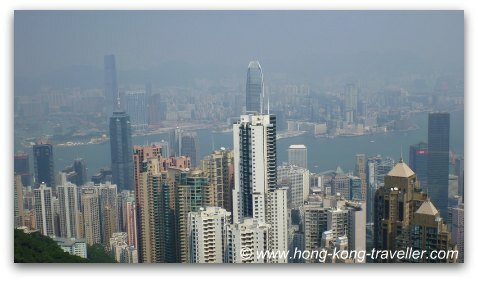 The major highlight for us was the free open-air terrace on the top floor, it is like a little oasis with lots of space, little greenery, park benches to kick back and relax, and spectacular views of Victoria Harbour that compete with the ones from the Sky Terrace. 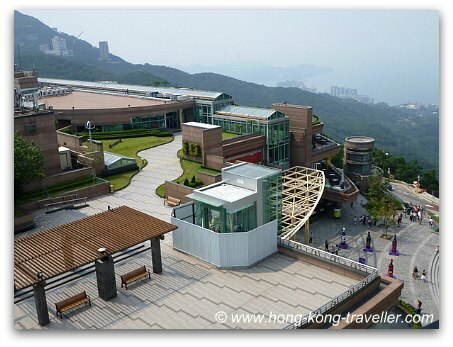 There is no charge for the viewing terrace at the Galleria, and even though it is at a lower altitude than the platform at the Peak Tower, you can get very similar vistas, it also tends to be less crowded. 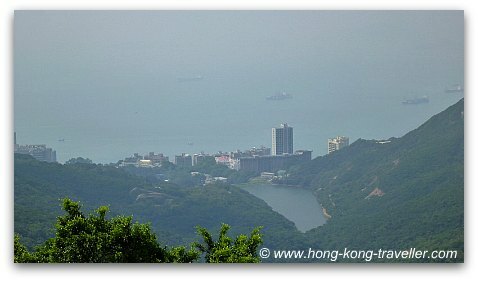 There are two entrances to the Terrace and they are both clearly marked, one leads you to views of the Reservoir, and the other to the views of Victoria Harbour . 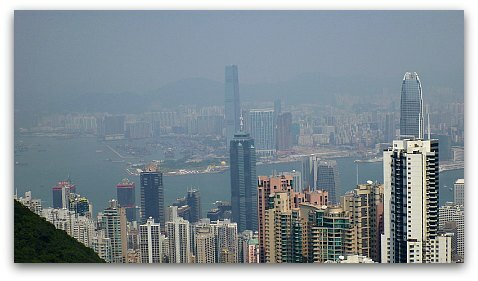 Check out these pictures if you want to see how the vistas compare to the views from the Sky Terrace. 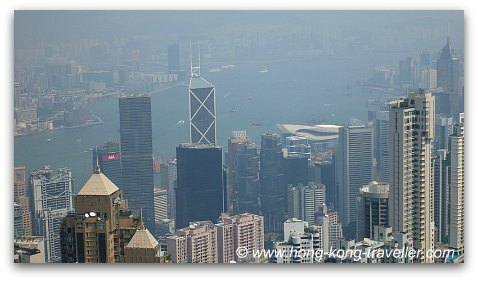 Is it worth paying the HK$52 entrance fee for Sky Terrace? You decide and do let us know what you think by leaving a comment below. 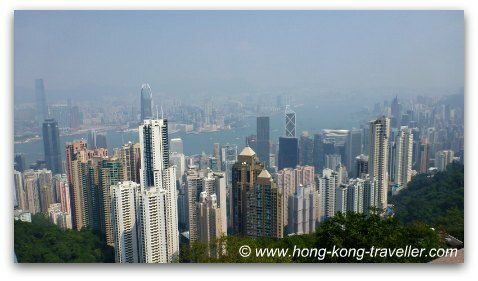 Even though shopping was not in our agenda, this being Hong Kong, of course we ended up checking out some of the nifty electronic shops and found a couple of gadgets that actually came in very handy on the plane. There are also lots of food options, from very casual on-the-go fast-food type to exotic, leisurely sit down meals. There is something for every one. 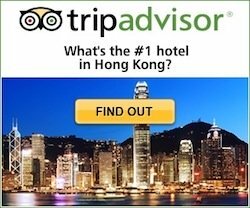 So grab a latte at Starbucks (ground floor), relax by the terrace and enjoy one of the most beautiful FREE sights in all of Hong Kong! 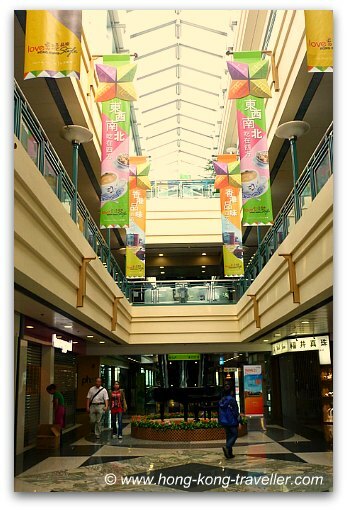 The Transportation Centre is also found at the ground floor of the Galleria, i.e. this is where the buses and taxis arrive and depart from.